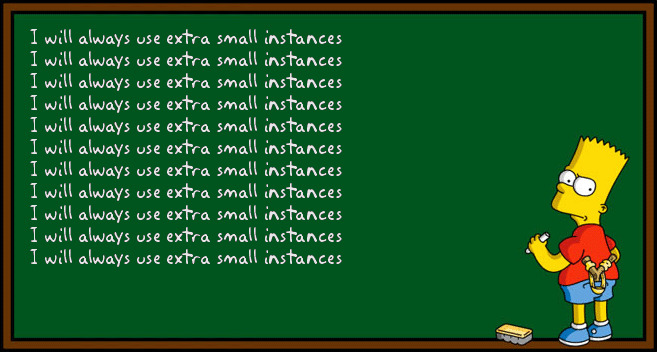 This e-mail notification comes to you as a courtesy to update you on your Windows Azure platform usage. Our records indicate that your subscription has exceeded 75% of the compute hours amount included with your offer for your current billing period. Any hours in excess of the amount included with your offer will be charged at standard rates. Let's see... 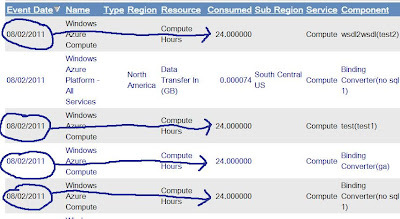 I should get 750 compute hours / month, a month has 31 days (a worse case analyses), 750 / 31 > 24 which means I should have more than 24 complimentary compute hours per day. How could they run out so fast? 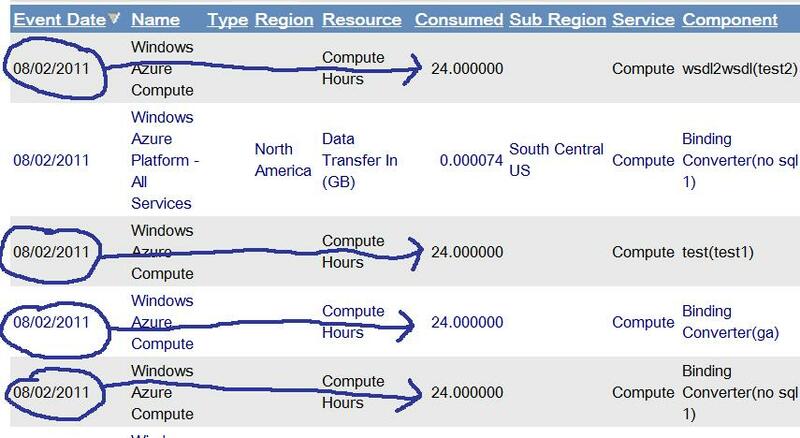 This means I was not paying for 24 compute hours per day, I was paying 24*2! Now you may say RTFM. But nobody does it. 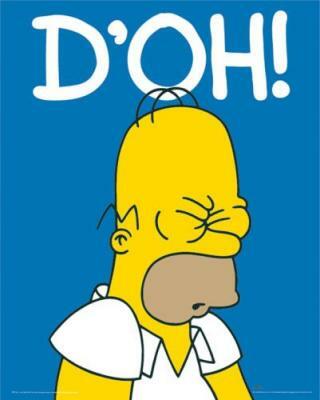 Not when we download some open source library from the web, and not when we upload something in the other direction. But why did the bill had 4 itmes and not two? 2 services * 2 deployments = 4 * 24 hours a day = 96 hours a day! 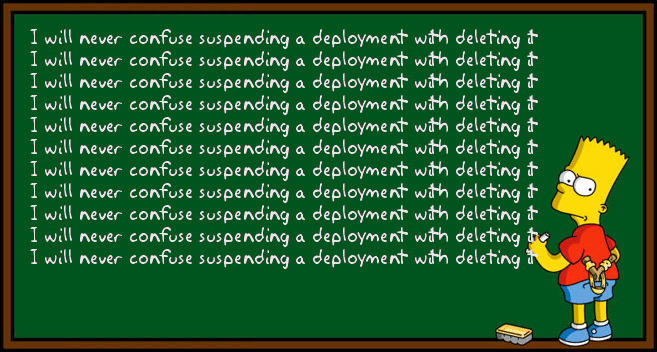 Suspending your deployment will still result in charges because the compute instances are allocated to you and cannot be allocated to another customer. 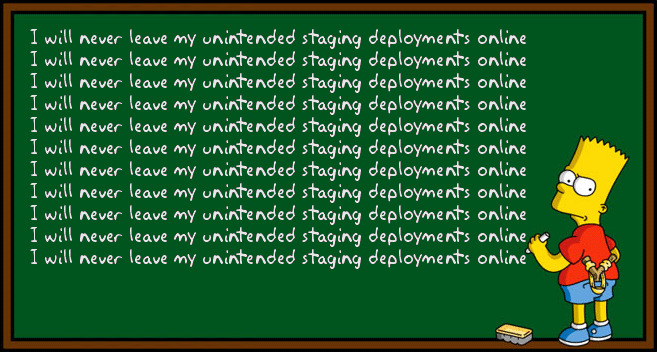 Remember: Always delete deployments you do not want to pay for. Suspending / stopping them still results in charges. Weather you are an independent developer or a Fortune 5000 company - know the Azure pricing model and how your account fits in.